1. 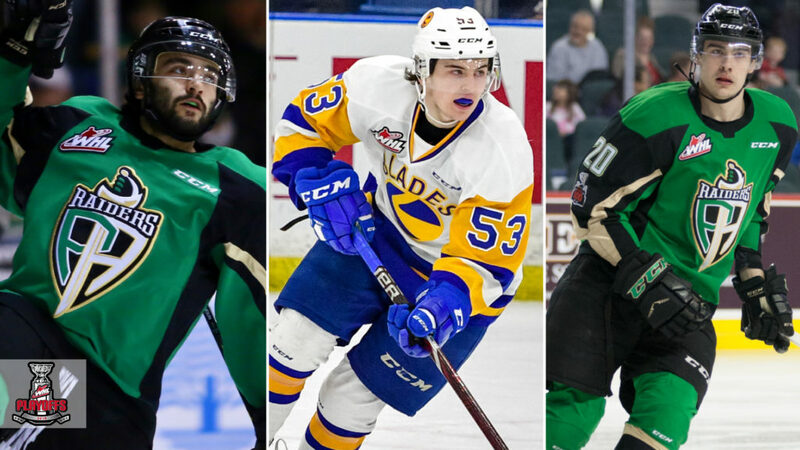 Dante Hannoun, Prince Albert Raiders: The Raiders forward recorded a hat trick in Sunday’s 6-3 win to send his team into the Eastern Conference Championship for the first time since 2005. Hannoun scored the second, fourth, and sixth goals of the game for the Raiders. The Delta, B.C. 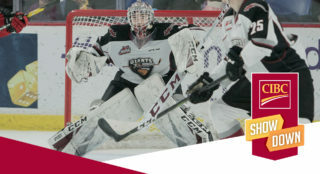 product has 14 points (9G-5A) in 10 games during the 2019 WHL Playoffs. 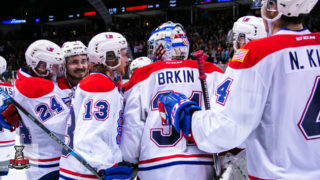 He has 37 points (17G-20A) in his 42-game WHL Playoffs career. 2. 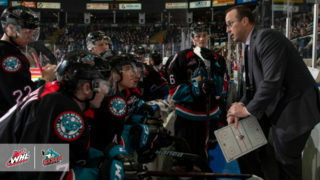 Ryan Hughes, Saskatoon Blades: The Saskatoon Blades forward record a pair of goals in his team’s final game of the 2019 WHL Playoffs. Hughes scored the first and second goals of the game for the Blades in Sunday’s contest. The Edmonton, Alta. 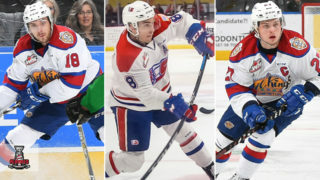 product finished the 2019 WHL Playoffs with six points (2G-4A) in 10 games. 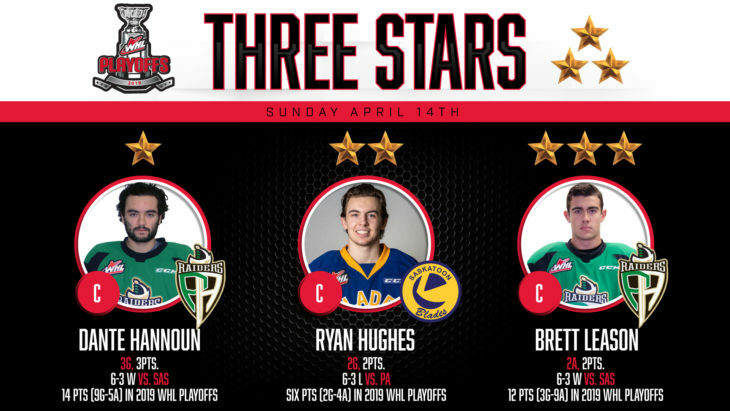 Between the Blades and Portland Winterhawks, Hughes has 18 points (6G-12A) in 37 WHL Playoff games. 3. 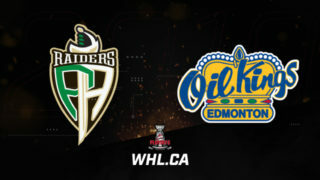 Brett Leason, Prince Albert Raiders: The 2019 NHL Draft prospect recorded a pair of assists Sunday in a 6-3 win for the Raiders. Leason earned primary assists on the team’s third and fifth goals of the game. The Calgary, Alta. 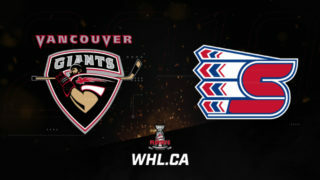 product has 12 points (3G-9A) over 10 games during the 2019 WHL Playoffs. He’s appeared in 20 WHL Playoff games to date, posting 15 points (3G-12A).